Cheap-as-chips all-in-one printers are not a new concept. Nor is the task of paying more for ink than the printer is worth. It’s how the manufacturers make their money on these products. 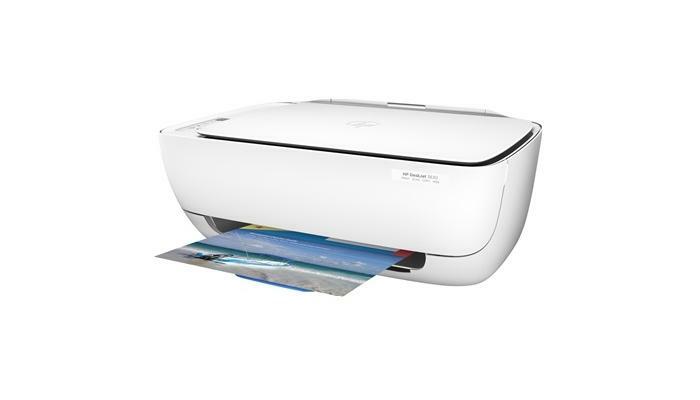 But what is new with HP’s DeskJet 3630 all-in-one printer is the ability to run in ‘single cartridge’ mode. This mode allows the printer to continue printing when either its black or colour cartridges are empty, rather than forcing the user to install a new cartridge. It’s a simple feature that addresses the concerns of many users of these types of devices. For example, users are still able to print text documents with the back ink when the colour cartridge is out of ink. The ink tanks it uses are HP 63 and HP 63XL, with the non-XL cartridges costing just about $26 for black and $33 for tri-colour, while the XL versions cost about $48 for black and $46 for tri-colour. Combo packs for these inks can also be bought. HP told us that the printer ships with cartridges that are full of ink, and that they are not ‘starter’ cartridges. It’s a printer squarely aimed at the home, for families that have now-and-then print needs, or for students who want something affordable on which to print their work and notes. The printer can also be used to make borderless photo prints up to A4 size. It has a recommended print volume of between 100 and 250 sheets per month. Apart from the new ink cartridge feature and borderless photo printing, another standout feature for this inexpensive printer includes wireless connectivity, which allows prints to be sent not only from laptops, but also smartphones and tablets via an app. HP’s online print services can also be accessed, including HP Printables, which can allow families to print things such as recipes and crossword puzzles. The printer has a curved physical design inspired by household objects, with paper trays that are unobtrusive and simple to operate. Colour accents in the design are meant to draw people’s attention to the parts of the printer that require user interaction, such as the control panel and the paper trays. HP claims that the Deskjet 3630 is ready for Windows 10.